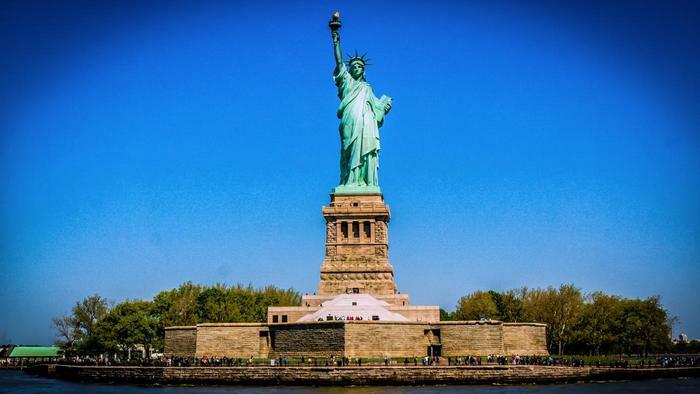 The statue is of a 151-foot tall classically garbed woman, holding a torch representing liberty in her right hand. In her left, she bears a tablet inscribed with the words 'July IV MDCCLXXVI' commemorating the date of the America's Declaration of Independence. Her left foot stands on broken shackles which represent tyranny. The pedestal on which the statue resides is 154-feet tall, making the entire structure a whopping 305-feet.